Cobia is the only member of the Rachycentridae family. It is distributed in most tropical and subtropical waters worldwide. It is a popular gamefish for anglers and occurs from coastal water to the open sea.. 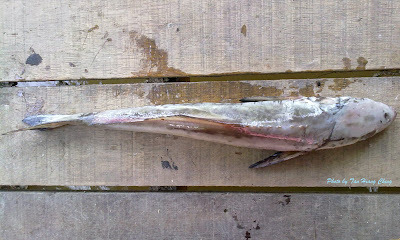 The body of a cobia is elongated, with a broad and depressed head. The first dorsal fin consist of 8 short isolated spines not connected by membrane and it had a powerful tail fin. 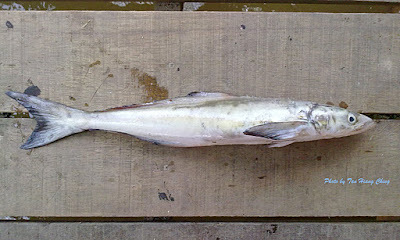 Cobia feeds on fish and crustaceans, particularly shrimp, squid, and crabs. It is usually solitary but sometimes swims among small schools of other cobia. Size: Maximum total length 2 m, commonly to 1.1 m.